People go crazy for Black Friday deals. 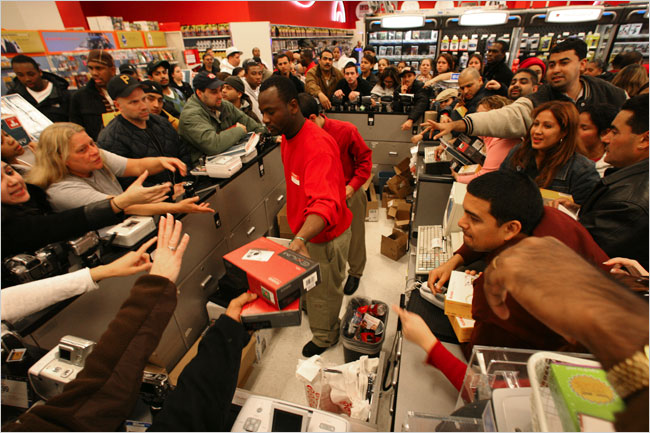 Mobs of people, hours waiting in a line, frantic searching through the store for that one item you wanted. Sound appealing? Of course not. But, if you don’t plan your Black Friday ahead, this will be you! Since I’m a deals fanatic, I’ve compiled a list over the last three years which I use every year to track the Black Friday deals. This cuts down the time I spend in store by roughly 70%, as I know exactly what deals are active and what I want to pursue. Here, then, are three websites that will allow you to be incredibly efficient on Black Friday. Dealnews – The Black Friday section of one of my favorite deal sites is up and running. 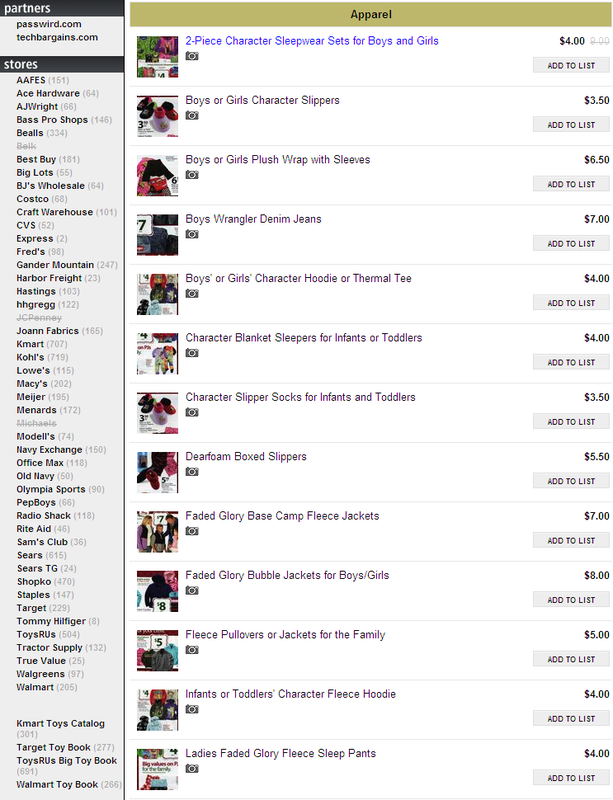 Sort by stores, categories, and hottest deals. 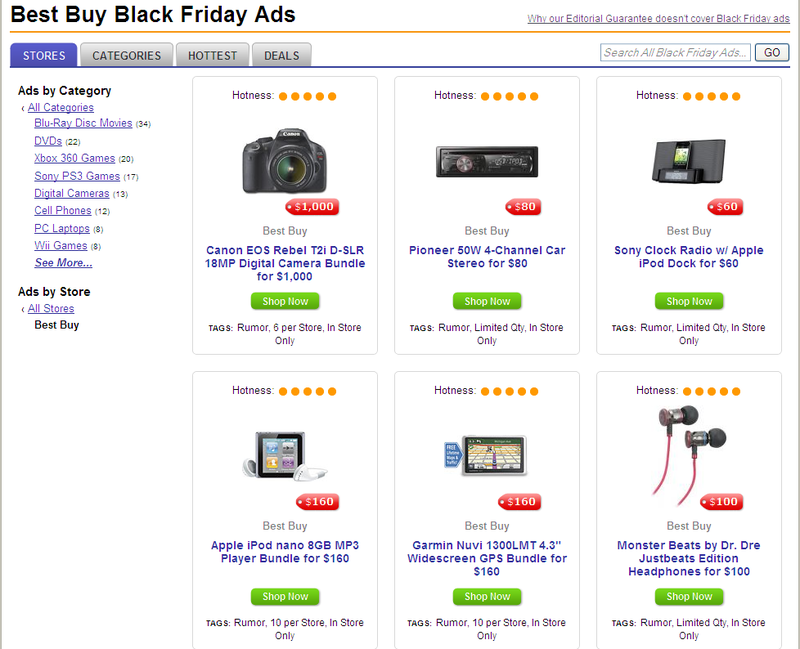 Dealnews already has a bunch of leaked sales ads, including for Best Buy, CVS, Macy’s, and Walmart. An example of the Best Buy ads at Dealnews. 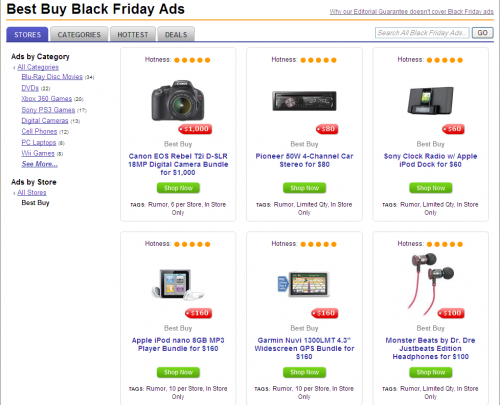 SlickDeals – Similar to Dealnews, but with a heavier layout. 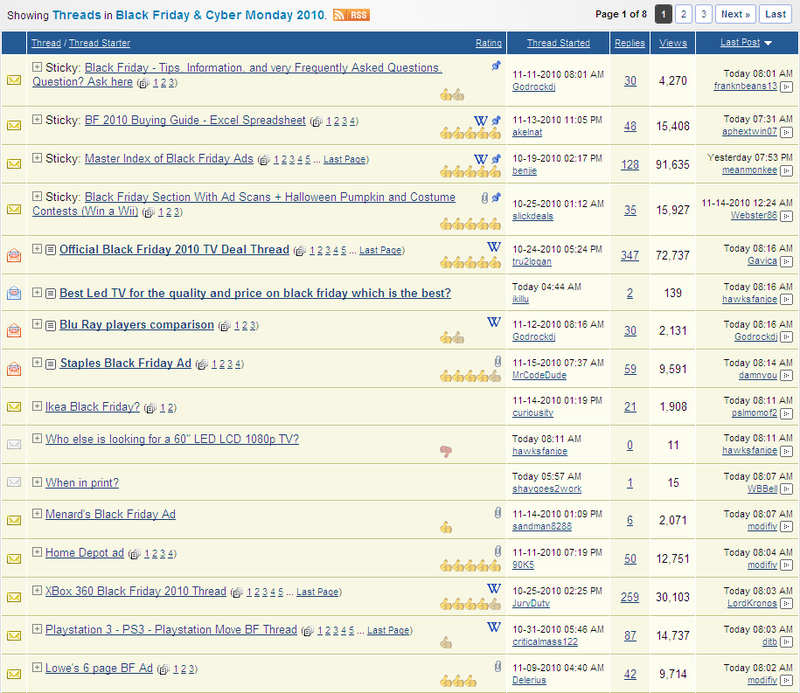 However, SlickDeals has a special Black Friday forum where anyone who registers for free can discuss the deals. 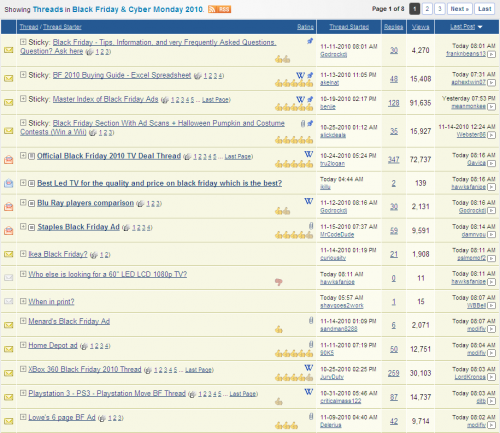 The Black Friday forums on SlickDeals allows users to talk with each other about the deals. Items on display for Black Friday at bfads.net. If you use these websites to plan your attack on Black Friday you should see a decrease in time spent at the stores bteween 30 and 80%. QOD: Do you shop on Black Friday? Good job, Dave! I’ll be sure to check these out before next year’s black Friday rolls around!